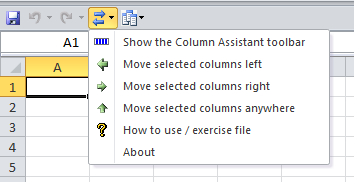 The Column Assistant add-in for Microsoft Excel makes moving columns left or right on worksheets very easy. It is compatible with Microsoft Excel 2007 to 2019 and Office 365. List Assistant - easily move cell ranges and rows around.